If you were lucky enough to grow up in the ‘90s, you’ll know just how DARN AMAZING it was. Oh, how we miss the simpler times. All we had to worry about was our favorite boybands, our epic rocker-chick outfit, and how much candy we could stuff in our faces at one time (and it was a lot). As we get even further away from the ‘90s, our nostalgia gets even more extreme. Instead of making ‘grown-up’ dinner, we wish we could serve our husband or wife turkey dinosaurs and smiley faces. Instead of watching the news (which is always depressing, BTW) we wish we could just sit in front of our TV, cross-eyed, playing hours upon hours of video games. Unfortunately, our time machine is broken, so we can’t go back to the ‘90s, but we can create a list of the things from the ‘90s we miss the most. There’s nothing we love more than a bit of cheese. We love it in our sandwiches, we love it in a squeezy form on our burgers, and we love it in our music. No, we’re not talking about that time your brother stuck your CD’s together with Easy Cheese. Instead, we’re talking about the battle of the boyfriends. 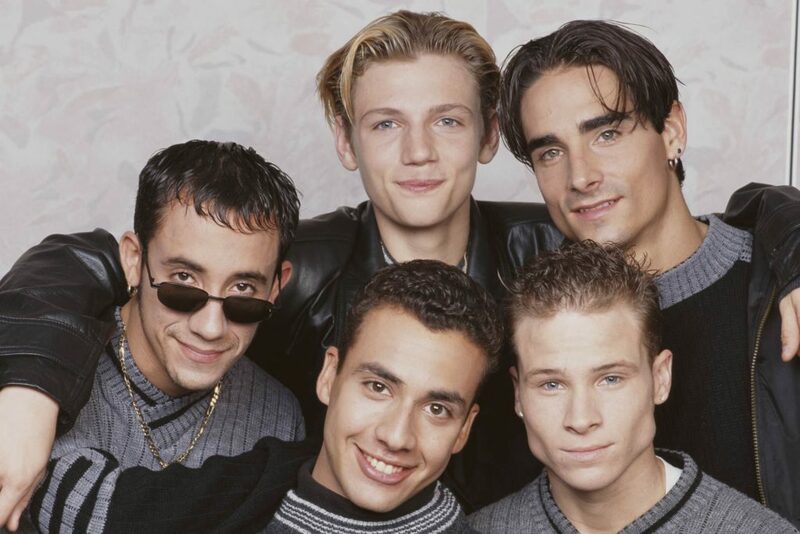 With their matching combat pants, their frosted tips, their tiny colored sunglasses, their silver chains and their cheesy love songs, boybands made our ‘90s lives worth living. However, there was an issue associated with boybands – because your favorite would determine whether your friends would ever speak to your again. So, which one would you choose? Backstreet Boys? Or NSYNC? Yep, we’re talking about actually picking up a phone, placing it to your ear and speaking into it. Sure, most of these phones had a cord attached to them and couldn’t be used at the same time as the internet, but prank calling required a huge amount of effort that is now wasted on the younger generation. Nowadays, the prank call has been replaced by a prank email, that someone has sent from the dark depths of their room, with their arthritic fingers (y’know, because they’ve been typing so much) and a lack of personal contact. Ahhhh, fun is wasted on the youth. Outside? Fresh air? What’s that? Well, dear readers, that’s something we used to do when the world wasn’t going down the toilet. Back in the ‘90s, we were able to take our bikes into the middle of the road, play with our friends and actually enjoy the great outdoors. Thankfully, people were kind enough to avoid running us over, and would politely beep at us to move out of the way. However, this isn’t possible anymore. Instead of fresh air, we’ll be inhaling toxic fumes, our bikes have been taken away because they’re a ‘health and safety risk, ’ and people are just running us over because they’re fed up with their lives. So yeah, not ideal. Let’s be honest, fashion has always been a bit weird – but the ‘90s was something else. In fact, ‘90s was so weird it was actually genius.We had no qualms about wearing brightly colored combat pants with tassels coming off them (as long as we could wear a crop top to match). We were totally okay with wearing huge platform shoes that we really couldn’t walk in – and we were going to try our darnedest to try and pull off flared denim. Unfortunately, we didn’t succeed, but at least we could choose one of our 167 plaid shirts from our closet to cover them up a little. Nowadays, kids are given iPhones, tablets, and laptops from an early age – so they completely miss the fun part of life, when you can just go wild in your bedroom and make your toy dinosaur marry you Ken Doll (because inter-species breeding was totally normal back in the day). The ‘90s was full of awesome toys and games that would keep us entertained for hours. Yep, we’re talking about Beanie Babies, Pokemon Cards, Socker Boppers, Pogs, Furbies and a whole load of fun.